Great presentation of all cold foods. 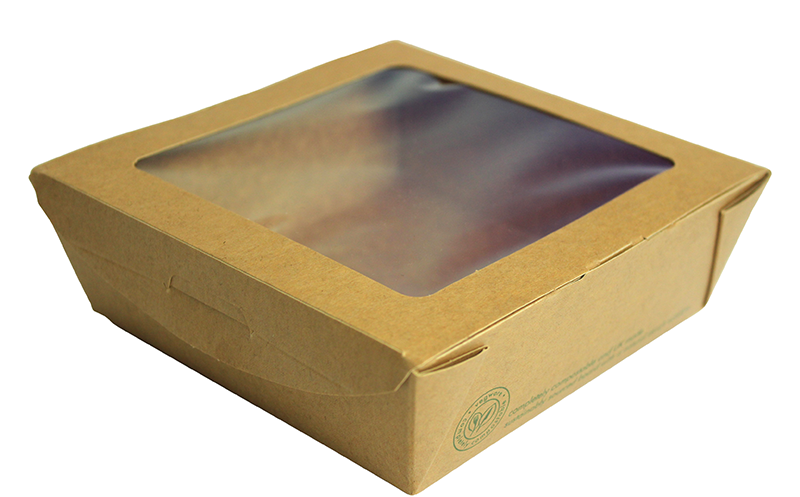 We have now added two sizes of windowed salad boxes to our range of completely compostable packaging. They are made by Vegware from sturdy kraft board with a greaseproof, water-based lining and a compostable plant-based PLA window.You can admire your delicious cold foods and salads through the peek-a-boo window. Product Dimensions 12 x 12 x 4.5cm / 4.7 x 4.7 x 1.8"